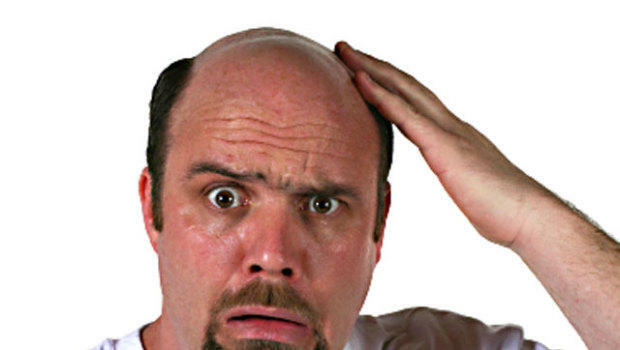 MALE PATTERN BALDNESS …HOW TO STOP IT COLD! WHY DO MEN LOSE HAIR AND GENERAL WOMEN DON’T ? ITS BECAUSE MEN’S HAIR IS GENERALLY CUT THERE FROM FAR HEAD To THE CROWN WHILE WOMEN S ARE CUT FROM THE CROWN TO THE FAR HEAD. IN OTHER WORDS AFTER GENERATION OF CUTTING HAIR AGAINST THE GRAIN TAKES ITS TOLL ON MEN ..JUST LIKE A FISH IN A POND IN A DARK CAVE WILL LOSES ITS EYESIGHT IN A FEW GENERATIONS.MEN LOOSE HAIR COMMONLY KNOWN AS MALE PATTERN BALDNESS. IF A MAN WHOM IS ABOUT TO LOSE HIS HAIR AND IS PRE DISPOSED TO LOSING HIS HIS HAIR OR IT RUNS IN THE FAMILY KEEPS A CREW CUT OR COMBS IT ON AN ARK OR THEN ANGLES THE SIDE AND TOP AND PARTS IT ON THEM LEFT IT NO LONGER WILL WEAKEN THE HAIR SHAFT .ALSO GETS AN ANGLED HAIRCUT THEN REVERSE THE PART TO THE RIGHT HE WILL NO LONGER LOSES ANY MORE HAIR.WE WILL NOW REVEAL TO YOU A HOLYWOOD SECRET… HAVE YOU EVER STOPPED TO NOTICE THAT ALL OF THE LEADING MEN THE SO CALLED “MANTINEE IDOLS” AlWAYS PART THEIR HAIR ON THE RIGHT SIDE? THATS BECAUSE LIKE I MENTIONED EARLIER IT TAKES THE PRESSURE OFF OF THE HAIR SHAFT AND LESSONS OR HALTS ANY HAIR LOSS LEADING TO BALDNESS OR RECESSION….AND THATS A FACT JACK ! DON MOSES LERMAN.COM IS BACK IN BUSINESS !